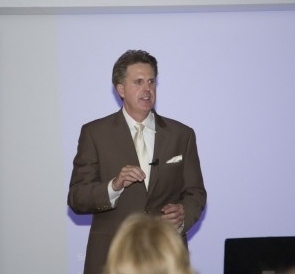 keynotes, workshops, or extended training to fit your needs. Bring harmony to your relationship by working together with your money. Your audience will discover the 4 C’s to Financial Harmony & Success that will eliminate the stress that couples are facing in today’s world. Your audience will walk away with practical tools to develop a plan where they are on the same page about their finances. All couples need a plan for their money. Experience the Financial Calm Plan. Get the 7-step plan to eliminate money anxiety, stress, and confusion from your life. This action packed presentation will include topics on spending plans, retirement, building wealth, and personal development. Your audience will leave with a clear vision for their financial future. Bring Calm to your next event. Every women in the audience will walk away feeling in control, confident, and calm about their money matters. Added Bonus: Discussion on – Beating the gender pay gap and receive what you deserve. In this presentation, the financial forces that are working against us are revealed. Your audience will learn how to overcome these financial forces that are having an affect on their financial well-being. Help your audience take charge of their money and live with money on their own terms vs. living on everyone else’s terms. Bring Financial Calm to your Community, Organization, or Business Conference. Call (818) 292-2548 for more information on speaking topics, availability, fees and more.